Lewis Hamilton overcame a poor start to return to winning ways with a crucial victory at the Italian Grand Prix, after Nico Rosberg made a mistake under pressure from his Mercedes team-mate. Hamilton recovered from a recent run of bad fortune to qualify on pole position for the first time since the Spanish GP in May, but fell to fourth after a glitch in his start procedure. Mercedes team-mate and title rival Rosberg scampered away into a comfortable lead over the fast-starting Kevin Magnussen, who launched his McLaren up to second from fifth on the grid, whilst Felipe Massa’s Williams occupied third. Hamilton initially struggled as his car became stuck in ‘RS mode’, but soon got up to speed and took advantage of Massa passing Magnussen at the second chicane on lap five to grab third from the Dane on the run to the first Lesmo. Five laps later and Hamilton pulled a superb move around the outside of Massa at Turn 1, as Rosberg made the first of two errors in missing the first chicane and having to take to the escape road. This halved the German’s 3.6 second lead, as Hamilton set about closing down his team-mate further. Despite getting the gap down to nearly a second he failed to jump Rosberg in the pits when the leaders stopped on consecutive laps. Hamilton was much quicker than Rosberg on the hard compound tyre and had closed to within half a second by lap 29, when Rosberg once again straight-lined the first chicane, seemingly destabilised by the intensifying pressure from behind. The Brit went on to extend his advantage to four seconds, before a lock up into the first chicane with three laps to go cost him half a second. Nevertheless Hamilton controlled the gap comfortably to record his sixth and arguably most important win of 2014, reducing his deficit in the title race to 22 points. After his win in Monza, the 29 year old said: “First of all, a big congratulations to the team. They said that they would want a one-two and they got it today. 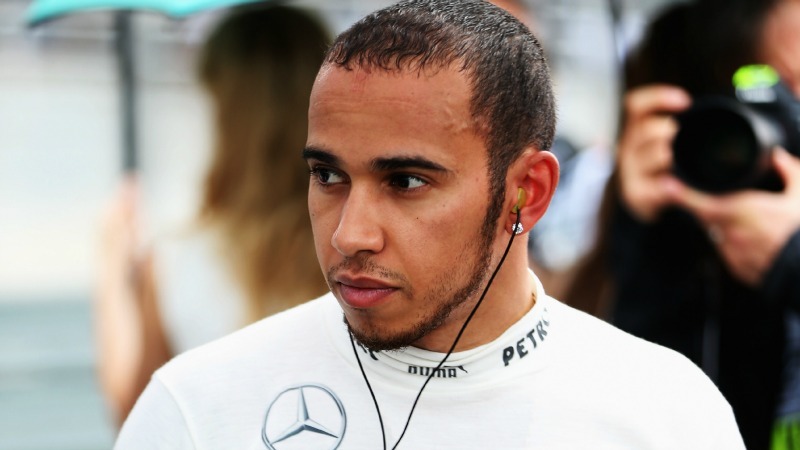 Hamilton defended his decision to attack Rosberg earlier than suggested by his team: “I wanted to apply pressure. I knew that if I got to the end l wouldn’t be able to so I just wanted to apply the pressure when the tyres were good. Behind the two Mercedes drivers, Massa claimed his first podium finish since the 2013 Spanish GP with a solid drive in a lonely third as his team-mate Valtteri Bottas came fourth. Bottas recovered impressively from a poor start which dropped him as low as 11th to fight his way back and take fourth on a day when Williams announced that they would be retaining both drivers for 2015. The Finn had to thread his way through an entertaining fight involving the Red Bulls, McLaren’s and Sergio Perez’s Force India, which ebbed and flowed throughout the race. It was eventually won by Daniel Ricciardo, who expertly passed Red Bull team-mate Sebastian Vettel with a perfectly executed dummy into the second chicane with just six laps remaining, as the duo took fifth and sixth respectively. Magnussen finished ahead of Perez and the second McLaren of Jenson Button, who spent a number of laps in an epic duel over the point’s positions. But Magnussen was demoted to 10th following a five second penalty for being deemed to have forced Bottas off the track at the first chicane, pushing Kimi Raikkonen up to ninth place in the classifications. Raikkonen’s two points summed up a miserable day for Ferrari at their home race, with team-mate Fernando Alonso suffering a rare retirement with a hybrid system failure. The Spaniard had been running as high as seventh before being hit by his first non-finish due to a mechanical issue since 2009, and was joined on the sidelines by Marrusia’s Max Chilton who spun out early on. Alonso later said that his Ferrari side must “recover from this”, words which were echoed by Team Boss Marco Mattiacci who admitted that his first Italian GP in charge was “one to forget”. Mattiacci declared: “In Formula One, as in sport in general, there are days to forget, and this was certainly one of them. Their latest slump comes after the welcoming news that Luca di Montezemolo, Ferrari’s long-time President, has reaffirmed his commitment to the Scuderia. As the race came into its closing stages on the penultimate lap, Daniil Kvyat survived a frightening high speed moment into the first chicane, before complaining of a brake problem. The young Russian recovered to narrowly miss out on the points in 11th. Hamilton’s victory will be a significant psychological boost following a turbulent couple of weeks for Mercedes after the events at Spa. The British driver will look to follow on from his dominant weekend around the streets of Singapore in a fortnight’s time as F1 heads to Asia.